According to sources close to the situation, News Corp.’s Chief Digital Officer Jon Miller will soon be leaving the media giant. It seems to be a cordial, although perhaps inevitable, parting — sources said Miller will remain an adviser to chairman and CEO Rupert Murdoch, as well as COO Chase Carey and deputy COO James Murdoch, for a year after his departure in late September. Update: News Corp. confirmed the departure in a press release, which is embedded below. His leaving brings into focus the fate of News Corp.’s overall digital strategy in an upcoming new structure. Miller was hired in 2009 to turbocharge the company’s long-troubled digital assets. But I had noted in an article in July that the well-known Internet exec was not likely to continue at News Corp. in the wake of a complex transaction that will ultimately break the company apart into two separate entities — an entertainment company and a publishing one. That’s a very different situation from when Miller was hired by the media giant to lead its tech and online initiatives and make digital a priority across its many divisions. Not for lack of trying or access to powerful News Corp. head Rupert Murdoch — it has been a mixed bag for Miller in his tenure. That’s due in no small part to a problem faced by many execs like Miller: The difficulty of successfully pushing digital initiatives inside a large traditional media organization. His job has encompassed everything from a failed effort to revive its once mighty Myspace service to selling it and other properties off to working to improve its Hulu partnership, where he serves on the board. It is not clear who will replace Miller as one of the News Corp. directors at the complexly-owned premium video service, which had been for sale and then not recently. One of the brighter Miller accomplishments for News Corp. has been forging decidedly better relationships with key Internet companies, both large and small, as well as with venture investors in Silicon Valley and elsewhere. That was most pronounced and visible between Apple and News Corp., which struck a number of deals to work together, some of which worked and some that had much less success. Miller has also been active in China, working on several digital investment opportunities for News Corp. there. That included a recent $70 million investment in Bona Film Group. He was key to a recent $45 million investment by the company and others in the company that sells the Roku video streaming device. He also worked on various New Corp. efforts on creating channels on Google’s YouTube, including WIGS, a drama series. The jury is still out on these kinds of creative endeavors, of course, especially to a company with much more lucrative traditional film and television assets. There was a possibility that, in his leaving, Miller might form a separate investment fund to focus on digital publishing and media, funded by News Corp. or even by the Murdoch family, who control the company. But that has appeared not to have worked out, said sources. Before he came to News Corp., Miller ran an investment fund with former Yahoo exec Ross Levinsohn called Fuse Capital. 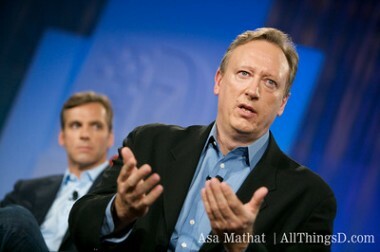 He also was chairman and CEO of AOL under its Time Warner ownership and was a top exec at IAC/InterActiveCorp. Miller has remained an active angel investor, funding a range of start-ups such as Maker Studios, Voxer, Science, Solavei, Personal.com, as well many as others. He is also chairman of OpenX and serves on the boards of Shutterstock and TripAdvisor.